Help make Levitt Sioux Falls a reality! In Sioux Falls today, we have an opportunity to do something big – something that starts with a commitment and ends with a legacy. Please consider making a tax-deductible investment to this enriching community project that celebrates the shared vision and diversity of Sioux Falls. You can now donate securely through paypal. With your generous support, Levitt at the Falls will bring together our increasingly diverse community, support local businesses, draw tourists to Sioux Falls and assist in workforce development by making Sioux Falls more attractive to young professionals. Levitt at the Falls conducted its Community Appeals campaign November 1, 2106 – March 31, 2017. The Sioux Falls Area Chamber of Commerce Community Appeals Campaign was an important fundraising phase of our effort to build Levitt at the Falls. This campaign was approved and endorsed by the Sioux Falls Area Chamber of Commerce Community Appeals Committee. The Committee was established in 1958 to coordinate capital requests from Sioux Falls Chamber members. It is composed of 32 Sioux Falls business leaders that review four to six applications per year by non-profit organizations that would like to conduct a capital campaign. Two organizations are selected based on criteria such as community need and impact. Levitt at the Falls was approved for a fund drive of $1.06 million. In addition to the Community Appeals campaign, and the support of the national Levitt Foundation and the City of Sioux Falls, Levitt at the Falls will raise the balance of the funds needed for its share of the project through private fundraising. 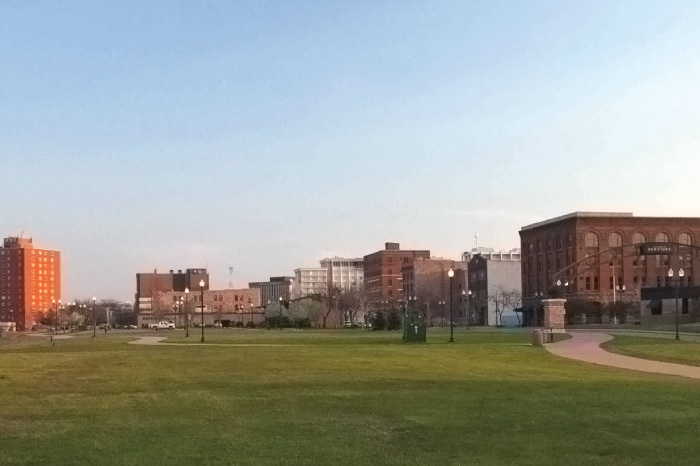 “In the decade-plus that I’ve served on the Sioux Falls Area Chamber of Commerce Community Appeals Committee, the Levitt project ranks among the most exciting proposals I’ve seen. What an opportunity for Sioux Falls – for all of our residents.